BDE Technologies has been providing contract large CNC machining services to meet large part needs, for over 10 years. 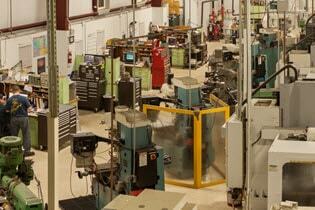 We have delivered precision engineered, large parts that exceed our client expectations. We have continually invested in state-of-the-art equipment, which helps us serve the customers looking for improved machining for their large parts, a partner for developing accurate parts with close tolerances, or customers who are facing challenges with large component CNC machining. In addition to the advanced CNC machining, we can source good quality raw materials, engineering, and testing, which helps us provide high-quality products. • 3 and 4 Axis Vertical and Horizontal Machining: Our advanced CNC machining equipment allows us to design complex and large parts effortlessly. Our various machining equipment such as vertical machining center, lathe, and horizontal machining center, enables helps us meet the above specifications easily. The machine parts can be provided in diverse production volumes such as small runs, low volumes, prototypes, high volumes, large runs, long runs, and large scale production volume runs. Our well-equipped CNC machining facility enables us to take up several large component CNC machining projects. The following are some large part components that are regularly machined at our facility. We at BDE, Inc. are committed towards 100% client satisfaction, and quality. Our experts work closely with clients to understand their requirements. This has helped us reduce errors, and improve our productivity. Our vast industry experiences have contributed to our success as one of the leading large part machining services providers in the US. Over the years, we have created a strong base of happy and satisfied customers. Do you have special large part CNC machining services requirements? Please Request a Quote today. Also, you can contact us for more information.